I've not had any of my cacti object to being transplanted, as long as I didn't use too large of a pot or the wrong kind of soil mix. I've also had a cactus, that I thought was dead, come back to life. I was absolutely positively certain the thing was thoroughly dead and gone, so I just set outside in its pot to get it out of the way. I totally forgot about it for a full year. No water, nothing. It was in a place sheltered from the winter rains, however. Then one day, I decided I wanted to use the pot it was in, so I went and got the thing. Lo and behold, it had 7 little pups! I removed them, potted them up individually, gave a few away as gifts, and still have one of them. 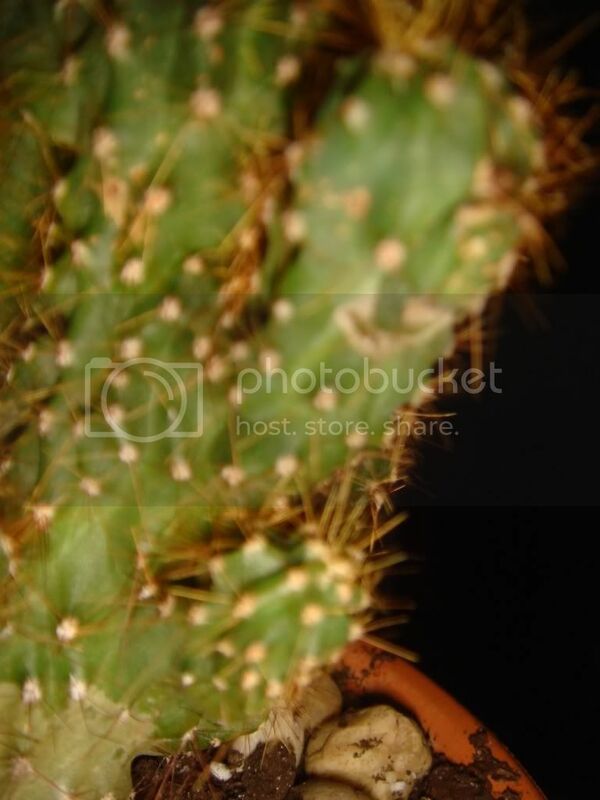 Cacti can be pretty tough, if you ignore them. BTW, I usually water my cacti once a month. Are you sure you aren't overwatering yours? Okay I did some checking and saw that the white part seems to be even harder then the green part. The plant is near a window, where it get enough light, but not too much. It's strange though, do you think it could be a fungus? 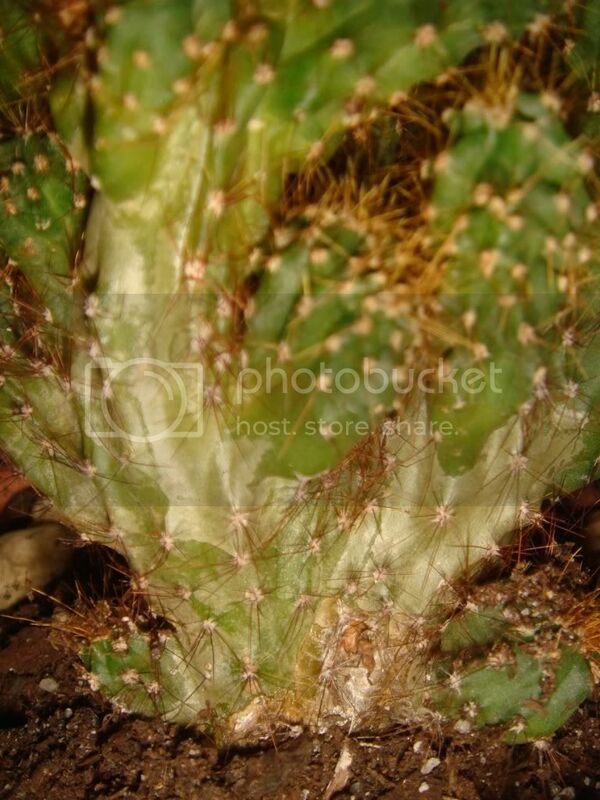 And if so where can i find a fungicide for cacti? I was watering it only once a month, but i though those white marks might be from being to dry, so thats why i started watering twice a month. I've read that cacti can get sunburned, just from the heat.. It's possible that it needed more water. I don't know where you're located, so I can't judge how dry the climate is. It's damp where I live, so my plants probably need less water than yours. 10 Year Old Saguaro Cactus Drooping. What's Wrong?